Can’t wait to see what Simpsons brings to the table. 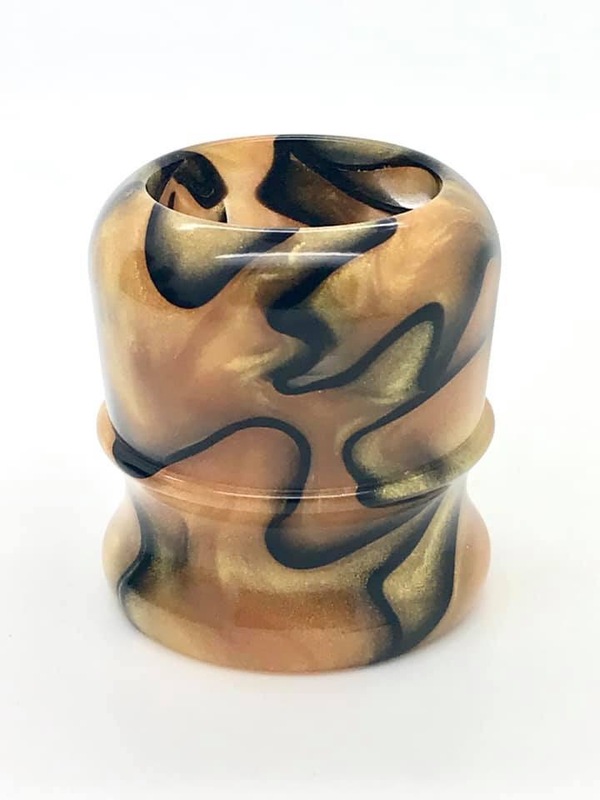 With the recent re-vitalization of 2-band hair and new resin choices - should be very interesting. 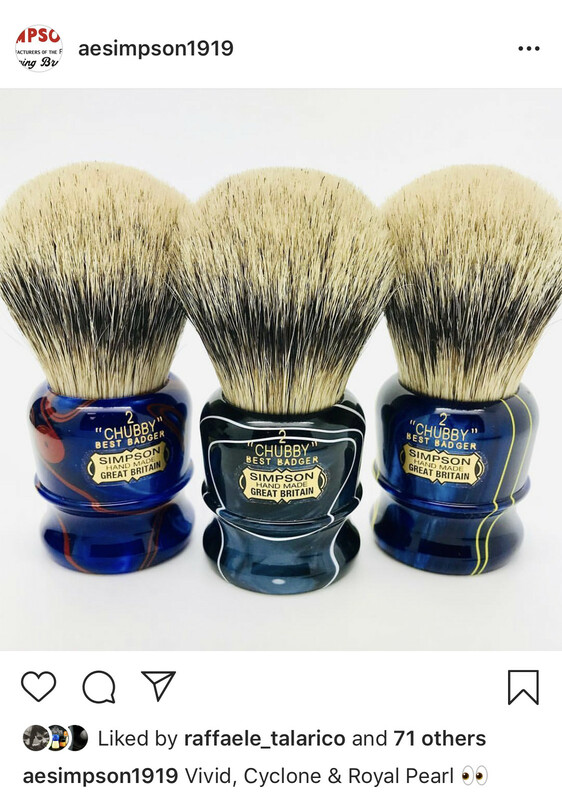 My two chubby-2’s get a lot of work, so I don’t need any new brushes - but a 100th anniversary brush could be quite special. I could get behind that with a different handle material. Can't have it exactly the same to keep the 90th special. 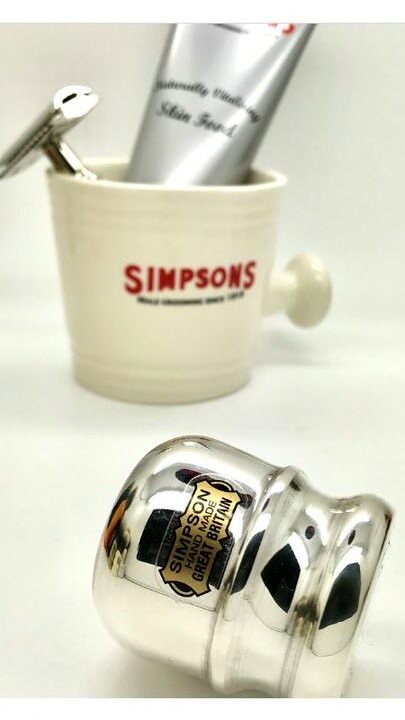 Simpson did say they might re-introduce an old design. I'd be fine with them introducing this in best. Simpson might have some other model that will blow our minds that is even better though. I'd like to see that. Preferably in Super. Doesn't Sterling tarnish quickly, though? Very cool brush. I recently fell in love with a CH1 in Super (3 band). I think I would like a CH2 even more if it had the same hair, but I am still surprised at how much I like that CH1. I prefer it over my other 3-bands. Simpson Best, TGN HMW, and Shavemac D01 Silvertip. (08-07-2018, 01:52 PM)kooshman7 Wrote: I'd be fine with them introducing this in best. One century anniversary needs a 2-band Super Badger to celebrate. I'm okay either way. 2-band Super is great, and honestly I probably would do that if they chose that. 3-band doesn't get as much love and I would be cool going that way too. 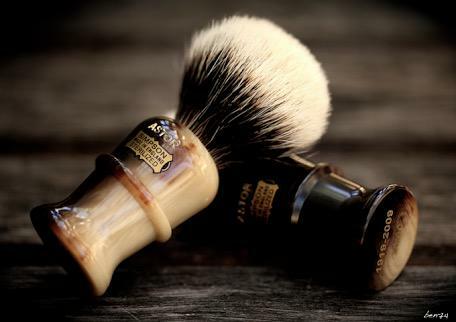 I remember the Semogue LE 2011 where they did two handle sizes in two different grades of boar and badger. 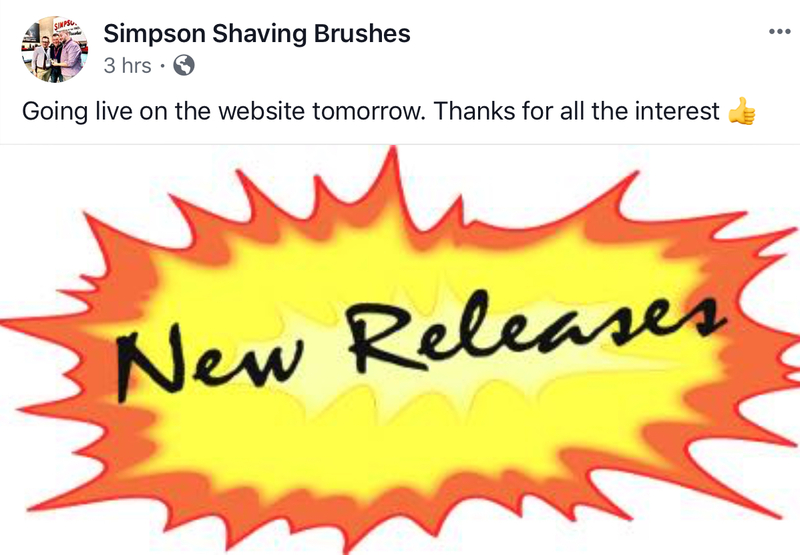 There's more work doing this, but why not maybe one new handle with only 100 brushes offered in Best, 3-band Super, 2-band Super, and Manchurian? 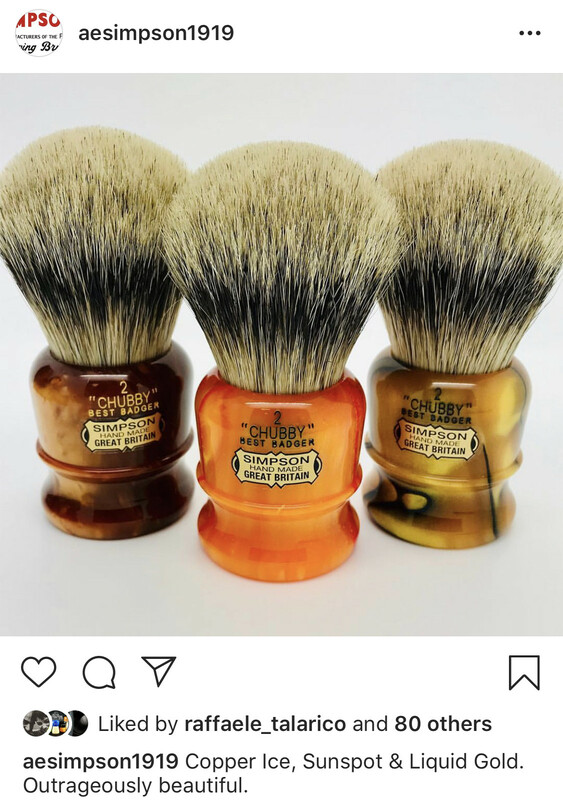 You could hit a range of price points and have a special brush. 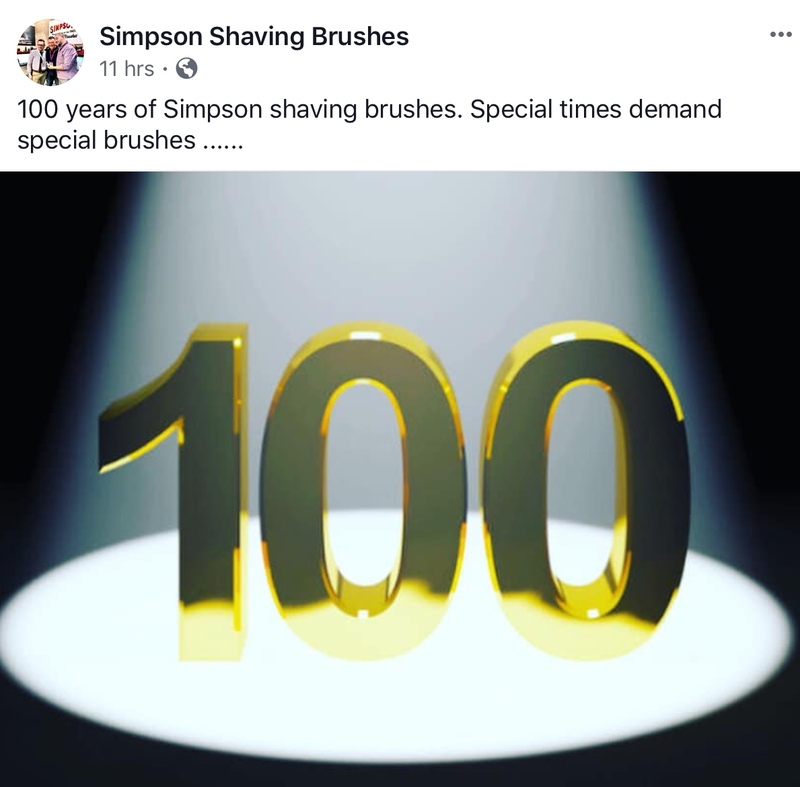 This is the 100th Anniversary for Simpson. Go all out! Heck you could even cut out the Manchurian as the Sterling Chubby 2 is already known to be filled in Manchurian. It's the dreaming of what might be and sharing it with others that's great about a group buy or LE brush! At least it is for me. (07-27-2018, 02:35 PM)TheLegalRazor Wrote: Yes, there is a sterling silver Chubby 2 Manchurian in the works. Perhaps Mark will comment on this offering. I would hope for an engraving rather than a £1 sticker but perhaps I expect too much. I'm liking that copper ice. 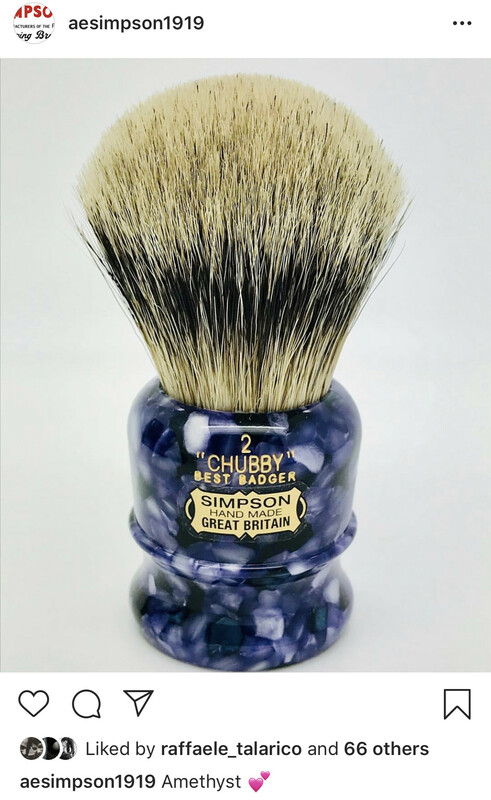 Simpson's Astor 90th Anniversary is the most beautiful brush in existence. I do hope Mark uses this material for the 100th Anniversary edition. Wow. I love the Sunspot. It just might make me buy a Chubby 2. Interesting that it's in Best. 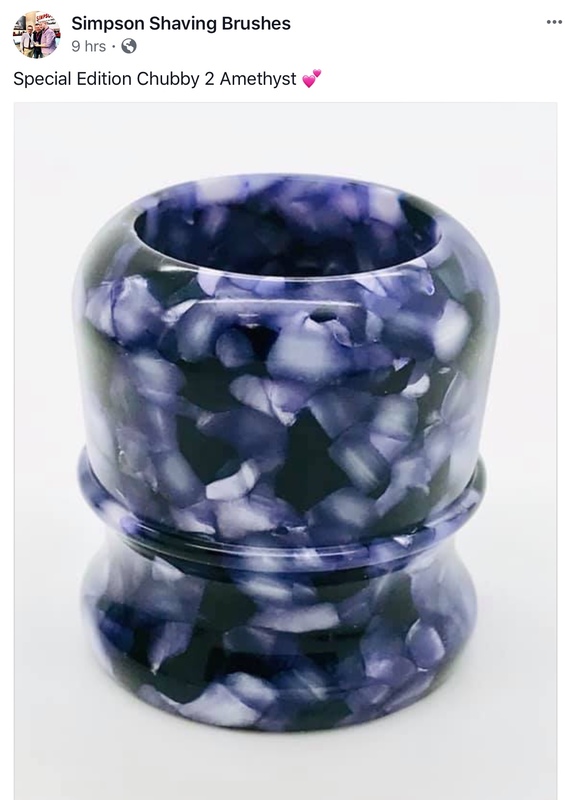 Anyone know the pricing? 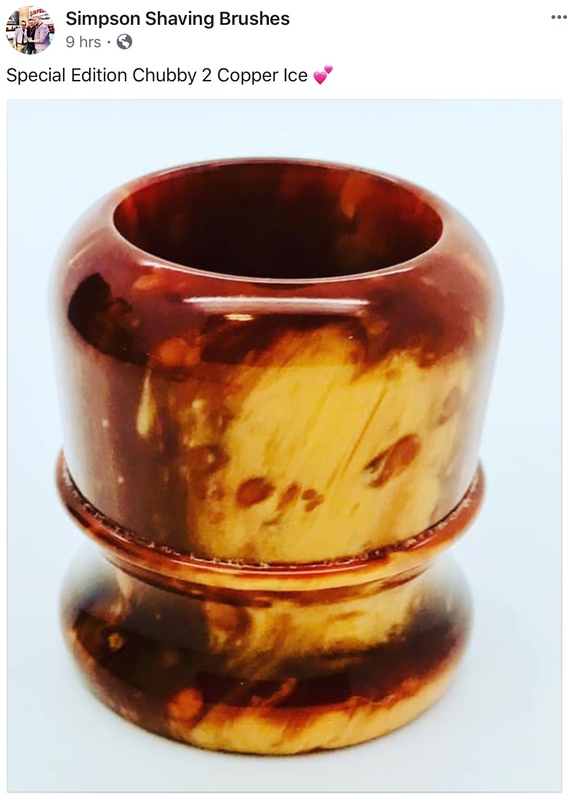 Simpson is releasing Best Chubby 2's in stunning resins. Looks like they are going live tomorrow, not sure if the time. It's great that they're available in Best. Usually, the exotic resins are reserved for Manchurian.